Apparently, it has been almost 156 years since I last posted a blog. I have been told by Sue that this is too long a break and that I must now start writing my blog again. I’m not going to argue with Sue, she can be quite vicious behind closed doors, she may look angelic but when she gets aggressive she can be a right handful. Vicious I tell you. Anyway, so here it is, the next instalment of drivel from me. A lot has happened since my last blogpost, a lot. Mainly we have moved from Wiltshire to Somerset and now eat cheese and drink cider all day. On the alpaca front things have become quite interesting recently. 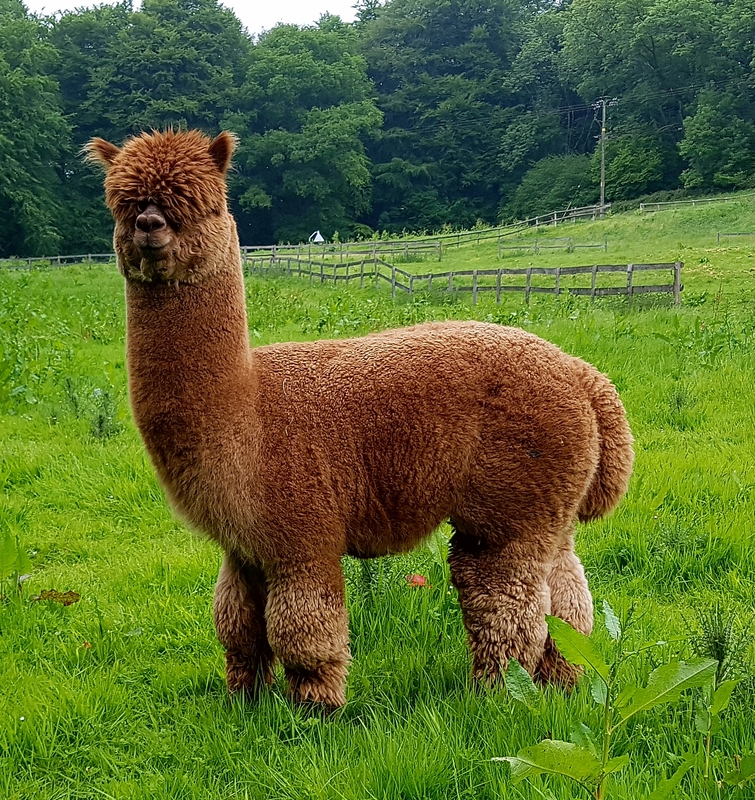 For those of you new to my idiotic ramblings we used to breed brown alpacas, deliberately. 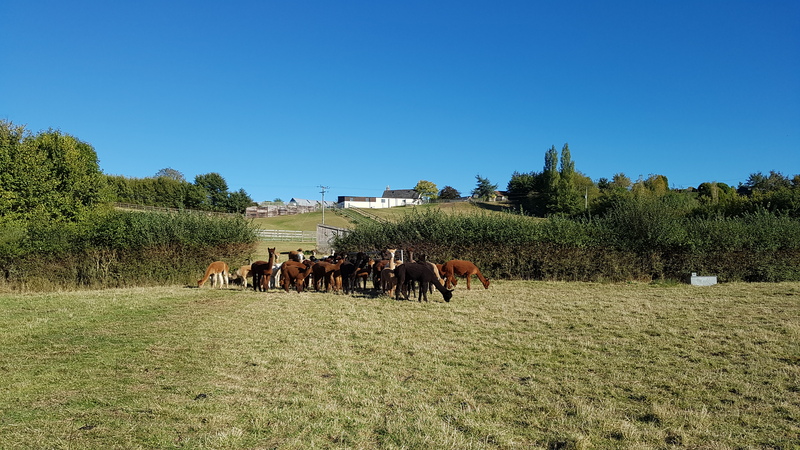 However we have been so unsuccessful in producing brown alpacas recently that we have kind of rebranded to being breeders of ‘coloured’ alpacas. 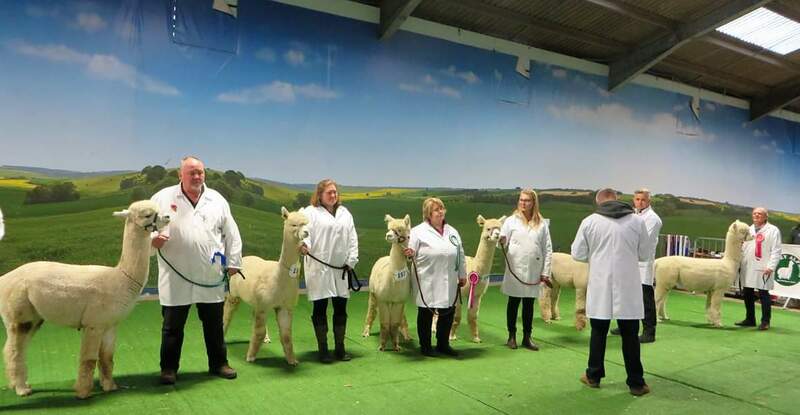 So it was with a certain amount of amusement that I found myself at ringside of the recent Midlands halter show watching a class of light suri males being judged. Not only was I watching but I think I was the only one watching. I rapidly snapped out of it and went for a walk round the hall to clear my head. Half an hour later I was in that ring on the end of a lead which had a white adult male alpaca on the other end. 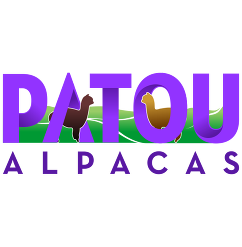 It wasn’t even anyone else’s alpaca it was a Patou alpaca, it was a home bred white alpaca. Whilst standing in the line trying desperately to pay attention I began thinking about the bigger picture. Perhaps I should remove colour completely from my thinking when pondering about alpacas. Focus on the quality of the fibre, the strength of the conformation, see things more in black and white (without the black……or white) in future. Perhaps just go with the flow, become colour neutral. I should identify as colourless, see-through, transparent. Sorry, I’ve gone too far now, that was some serious drivel. I’m also thinking about becoming the leader of a very small independent state, Patouland. As I wrote earlier in this load of hogwash there will be no referring to anyone or any thing’s colour. On reflection transparency is the way forward here, translucency perhaps. Here in fact is a picture of a completely colour neutral alpaca. I just see a green field with a large fluffy object of indeterminable hue in it. In this tiny state there will be a law banning all political talk, there will be no mention of leaving or remaining in anything (unless it is a queue for lunch then I am a firm remainer and will remain to see the task through to the end.) Incidentally, anyone leaving the lunch queue will not be allowed to rejoin until the end of lunch when everyone has had the opportunity to have seconds. There will be no mention of gender at all, except the stud ‘males’ will remain separated from the females, obviously. Apart from that everything will assume a gender neutral position at all times, except Tsar and Crackerjack, the two wethers on the farm, who are confused enough already and must not, under any circumstances, be given a binary choice. So there we have it, a return to blogging. I may have gone slightly mad, or is the whole world?